You rely on racks and shelves in your warehouse for storing products, inventory, oversized boxes and large parts, but what can you do when you run out of warehouse storage space? 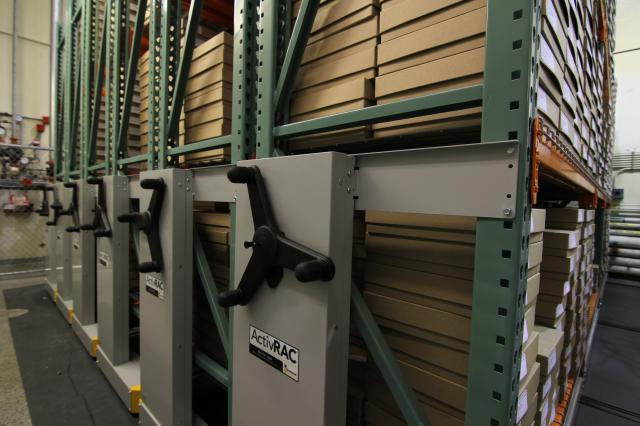 You can easily reclaim your warehouse storage space by making your static racks and shelves move. 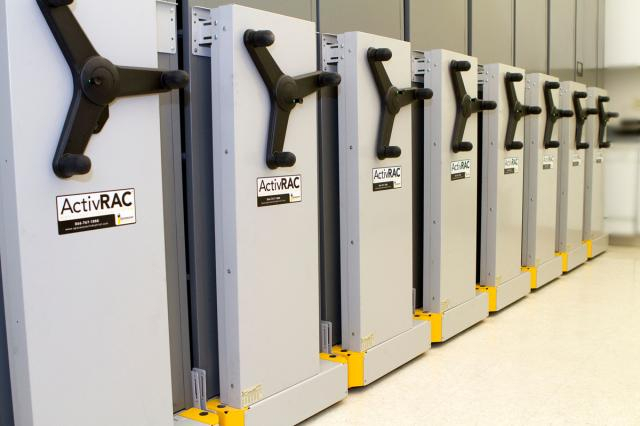 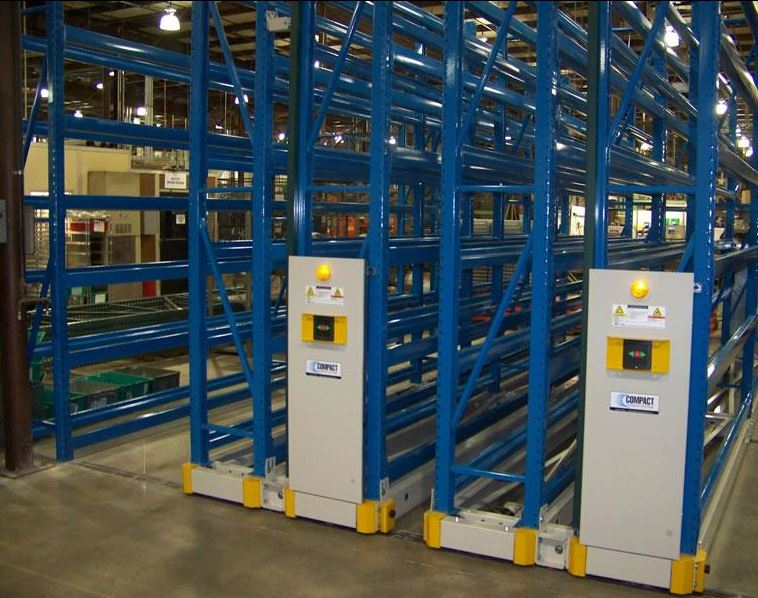 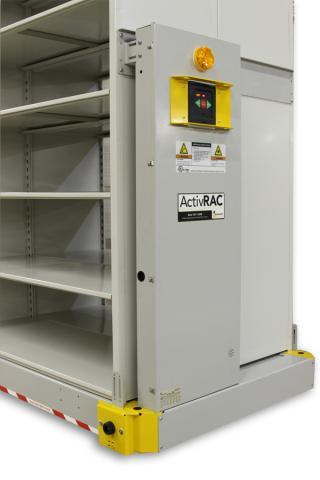 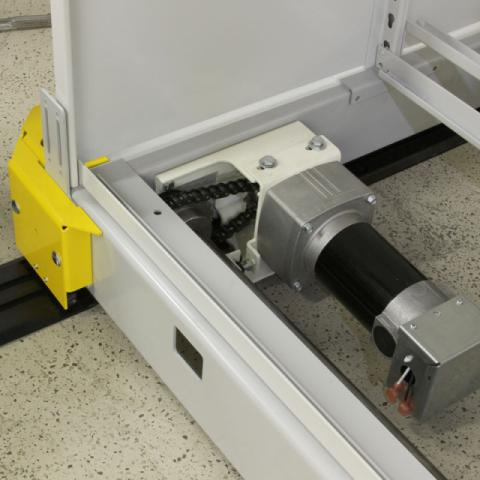 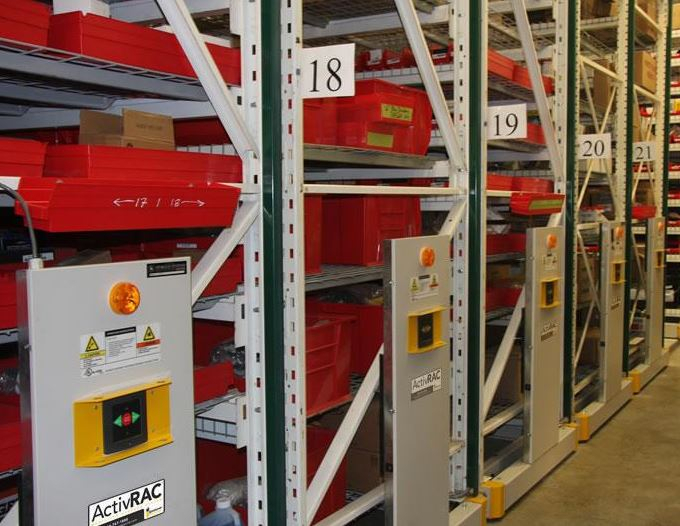 The carriage and rails systems on Mobile Industrial Racks and Rolling Bulk Shelves enable them to move side to side and eliminate idle aisles. 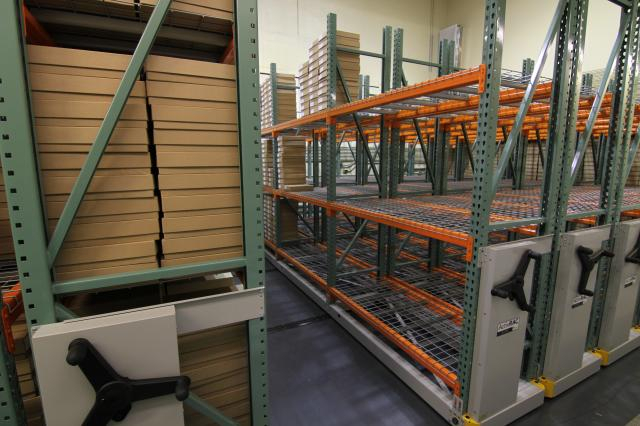 With Mobile Industrial Racks and Rolling Bulk Shelving, you will maximize storage capacity and floor space while still providing 100% accessibility to stored items. 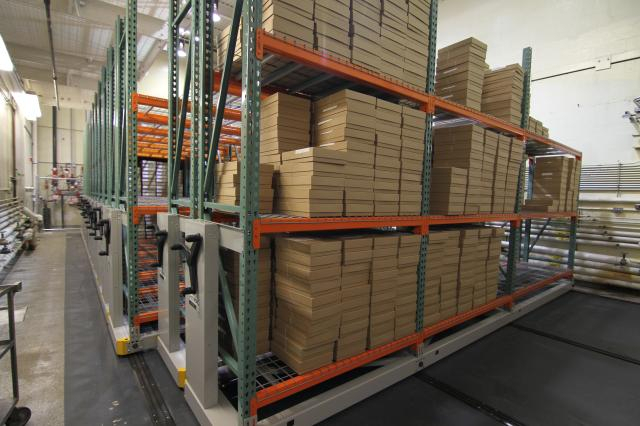 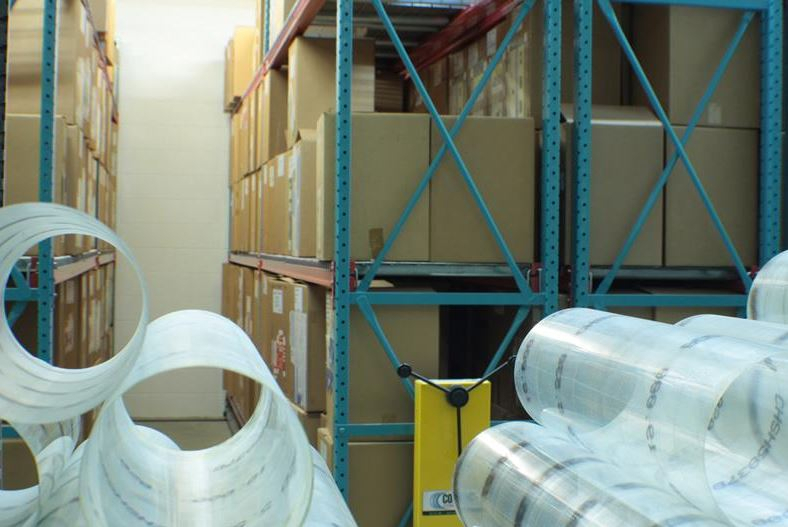 Generate Revenue with More Space: Without idle access aisles, you will be able to generate more floor space for staging areas and production lines which will in turn generate more revenue for your business. 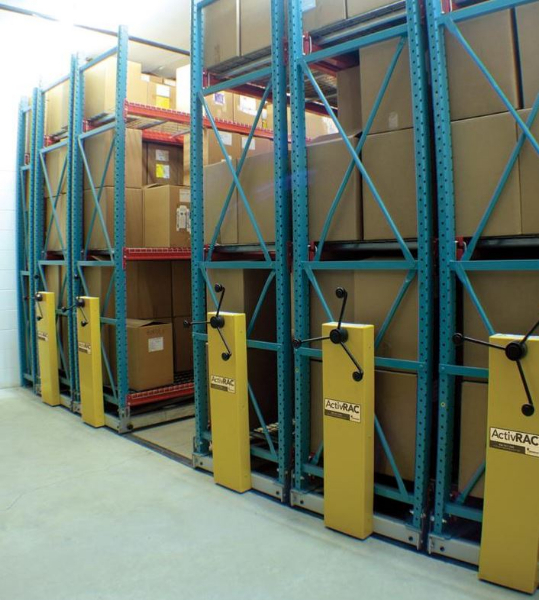 Increase Warehouse Storage Capacity: Because the Mobile Industrial Racks and Rolling Bulk Shelves will store double the capacity in the same space, you will reduce the need to expand your building or move storage off-site. 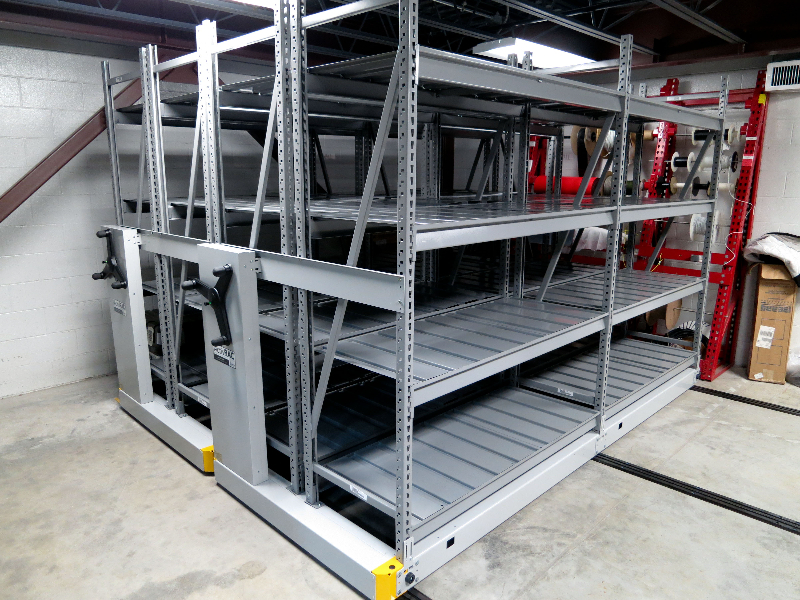 Using Existing Racks and Shelves: The carriage and rail system will be able to accommodate your existing industrial racks and bulk shelves, which makes them a cost-effective warehouse storage solution. 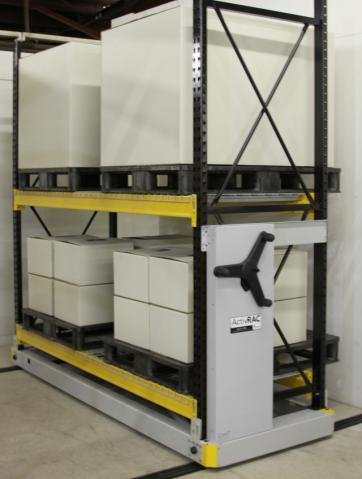 Ease of Installation: The Mobile Industrial Racks and Rolling Bulk Shelves can be installed on existing concrete slab without the need for leveling or structural footings.